We met in 2000, the same year I started JONETSU (Jonetsu means 'passion for life' or 'love fever' in Japanese). Chadwick began assisting me on his weekends (he was working in the film industry)... carrying gear, loading film and bending light. Working together and dating simultaneously made for a raw and transparent courtship, leading to our marriage in 2003. In 2007 we joined forces full time photographing as a team. When you choose a partner in life, and you get to see that face you crush on daily.... life is good. We split our time between Vancouver (where I'm from) and our new home base of beautiful Stratford, Ontario (where Chadwick was born!) where we do our post-production + album designs. We're currently doing a major renovation on our 1895 house in Stratford. After all these years, we still choose to be wedding photographers. For us, that means choosing love and people. The opportunity to soak up all that "engagement love glow" and family celebration... well, it keeps us loving what we do. 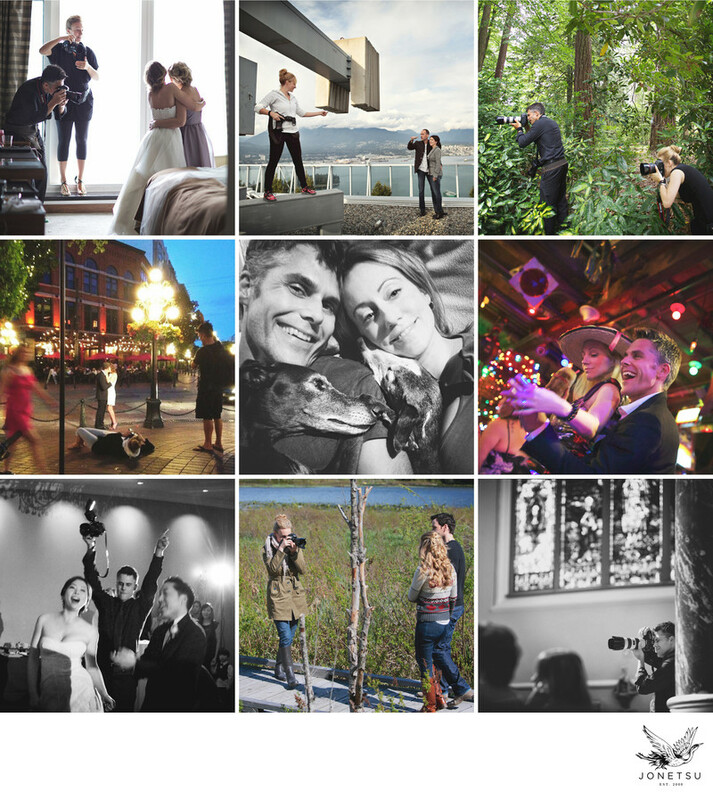 After 19 years of incredible relationships with couples we've had the privilege to photograph in Vancouver and around the world, it feels like the heart and soul we put into our work is well placed. Our reverence for love and family and good times shines through in how we choose to live and appreciate each day. Your wedding day is quite like each day... and it isn't. Every day offers a glimpse into your own beauty- who you are deep down (and on the surface), how your partner moves through life- the way he looks at you after you made him laugh (like he's really comfortable and happy) or how her hair moves when a gust of wind blows by. The connections we share everyday with the people we love are beautiful, complex and important. Your wedding day is the same, with extra layers of emotion, visual expression and outward commitments/declarations. Chadwick and I live each day seeing and appreciating the subtleties in our relationships and in the environment that surrounds us... and that's how we shoot weddings. We shoot with an eye to the genuine spark between you two, and the (sometimes micro-second) moments when people reveal their true feelings in their expression. Our love of design, decor, food + drink make it a real pleasure to photograph all of the personal details you've thought to showcase and share on your wedding day... your most grand entertaining experience to date! Sneaking you away for a bit of peace and quiet in nature is a signature plan for us- just eye connection, touch, fresh air. We love making photographs in the forest or at the sea. We're rather obsessive about light- in all forms. We geek out on light every day- the way light affects mood and ambiance is significant. A completely different feel can be achieved in a photograph depending on how it is lit. We enjoy the challenge and creative freedom associated with our photographic style. Your wedding will inspire the way we tell your story with anticipation and light. A soft and airy wedding in a sun-lit venue will inspire one lighting approach and a glamorous city club wedding in the evening will inspire another. 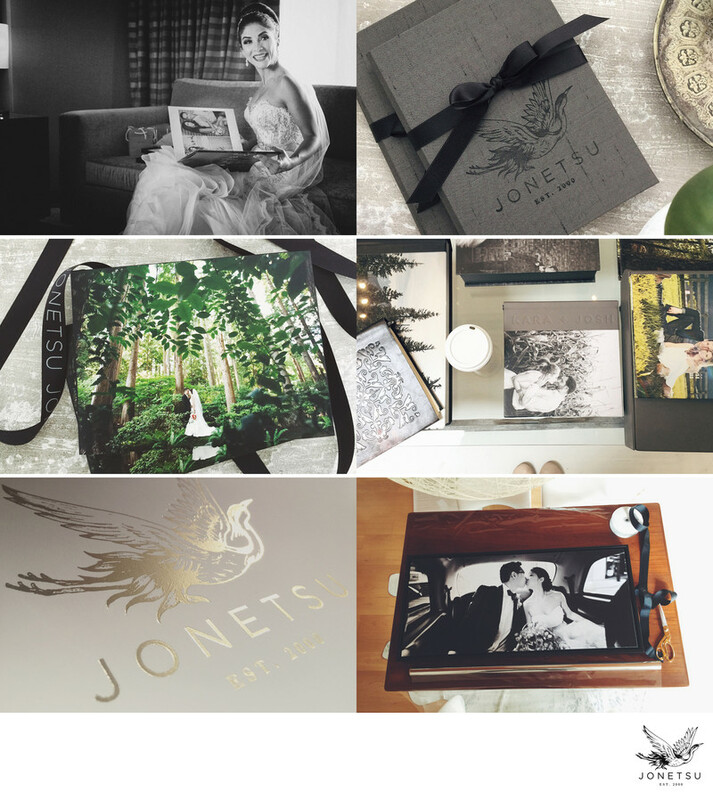 Your engagement album and wedding album will tell your story. 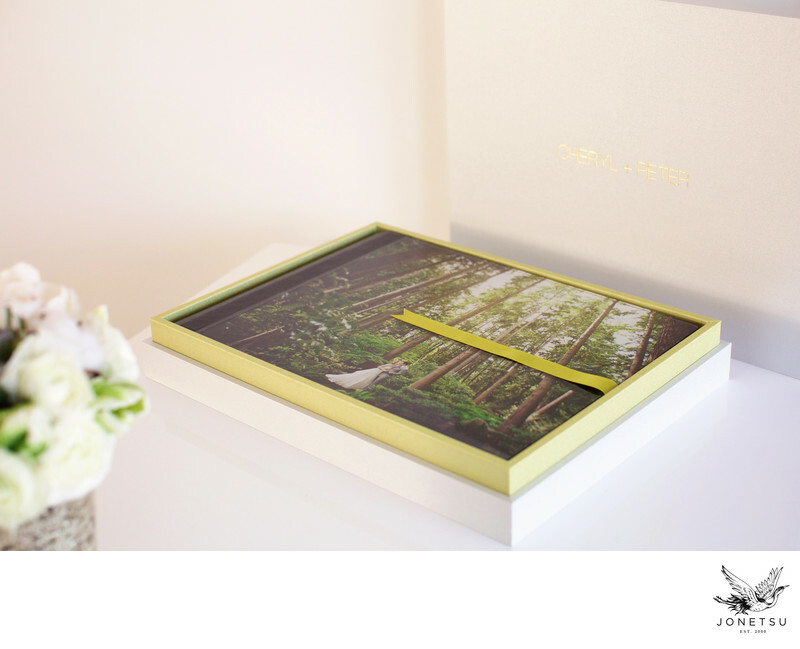 When you see the heirloom albums we create for our couples, you will understand how we're passionate about capturing the uniqueness of each partnership. We really enjoy getting to know you and telling the story that will naturally be there. We will listen to you and help guide you during the process leading up to your pre-wedding shoot and your wedding day to collaborate on locations and concepts that help to illustrate your story. We love to work with you to come up with a fresh and authentic way to capture your life as a couple. Adventure awaits! Above all visual aspects of our style, comes the experience being photographed itself. 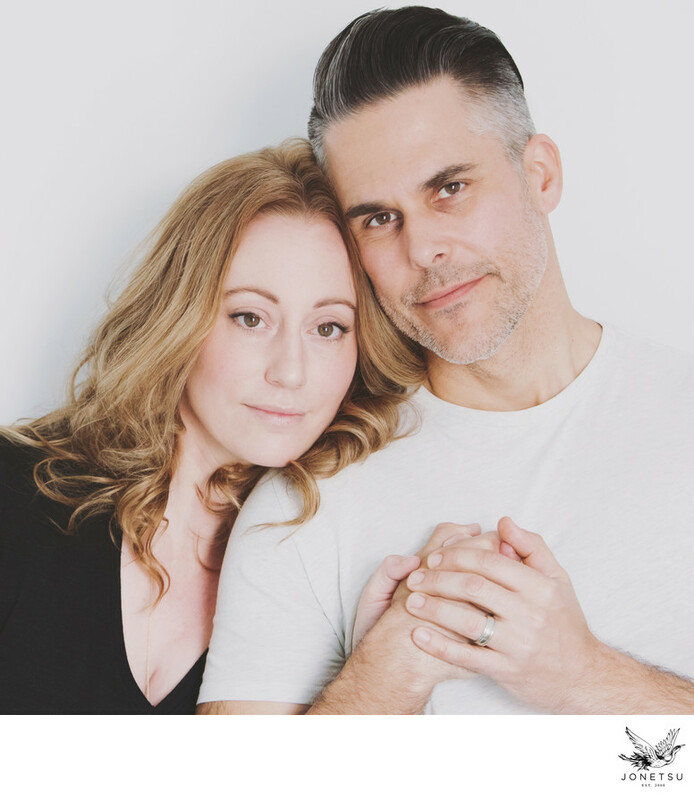 We seek couples who are happy with who they are and wish to be captured as such. Our dynamic is friendly, approachable, stealth at times and directing at times- whatever the moment calls for. Our team works incredibly hard from start to finish and we are able to put you and your guests at ease immediately. We offer an experience that leaves you feeling like being photographed was actually enjoyable- so much so you'd be happy to do it again :) For you to feel more connected and present after we photographed you means we've done well! We believe your wedding images and engagement photography should blow your mind... should show you your beauty, the emotion between you two and should feel like the dream that actually occurred. Images need to go beyond pretty... they need to be meaningful. The custom albums and artwork we hand to you will tell your story for generations. Please be in touch if our approach and images resonate with you, we'd love to hear about you and your wedding! As you can tell, we love animals. 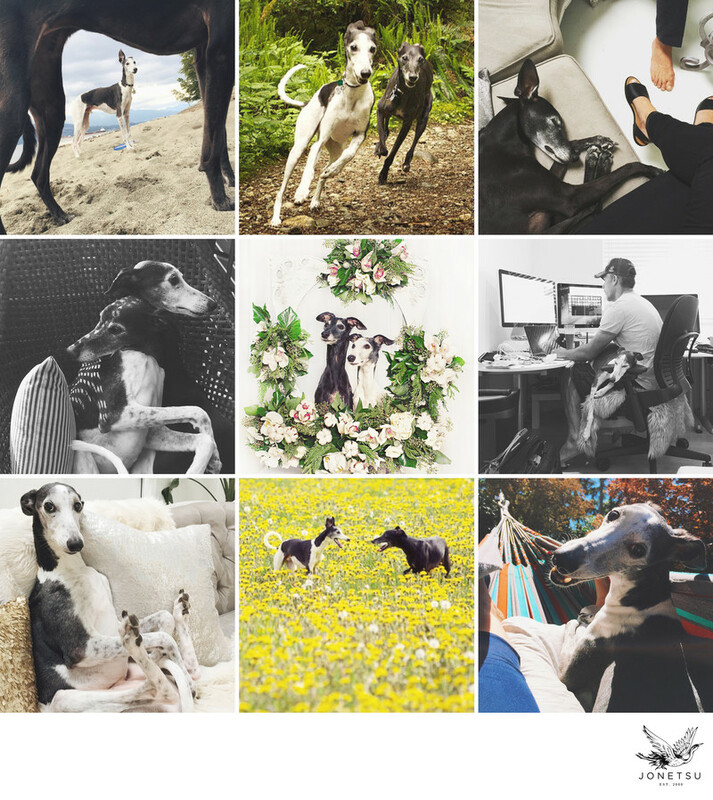 If you'd like to incorporate your dog or cat or chinchilla (or whatever little soul you call your pet) into your shoot- we're game!